Historically, direct real estate investing has certainly proved to be a lucrative endeavor, but it was also difficult to access. EquityMultiple is setting out to change that by modernizing the investment process to connect investors to quality commercial real estate. Currently, EquityMultiple is the only online real estate investing platform backed by a national real estate advisory firm, Mission Capital. To date, the platform has completed more than 440 transactions and raised $3.2 billion in capital. With more than 17,000 investors in its network, EquityMultiple is certainly making a strong showing. 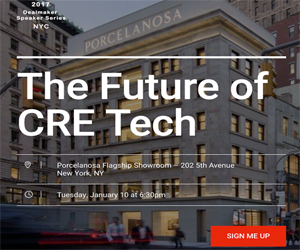 The platform specializes in the hospitality, industrial, office, retail, and multifamily and single-family residential segments while covering dozens of markets spanning multiple states. Recently, the online investment marketplace announced the public launch of its first deal. A redevelopment project in Brooklyn, the deal has an equity offering of $750,000. Sponsoring the deal is Bushwack Capital, who will be responsible for developing a mixed-use project with a value of $7 million. Located in North Bushwick, a neighborhood in Brooklyn, the subject property is a former warehouse that will be redeveloped into a music venue. In an earlier private launch, EquityMultiple attracted the attention of several investors. As a result, the project is already funded in part. Later this fall, EquityMultiple plans to make a number of other projects available to investors. EquityMultiple is led by a highly experienced team with an extensive history in executing transactions and client services. Heading up that team is Charles Clinton, CEO, a real estate attorney who has previously worked with a broad range of multibillion-dollar transactions for clients that have included KKR and Blackstone. Also onboard is Marious Sjulsen, CIO, who previously worked in real estate development and equity. By leveraging its relationship with Mission Capital, EquityMultiple has the ability to source investment deals from some of the largest sponsors in the real estate industry. In addition, the firm is able to choose deals from smaller real estate developers who are often at risk of being neglected by large institutional investors. The online marketplace plans to primarily focus on stabilized assets that provide value-add opportunities and predictable cash flow for investors. Plans are underway for EquityMultiple to host between two and five offerings simultaneously. As EquityMultiple grows, the platform plans to expand its number of offerings. Among the major benefits offered by EquityMultiple is the platform's industry-leading review process. The firm's team of experienced market veterans will evaluate sponsor track records vigorously while also carefully evaluating the risk and return of each prospective deal. Because of such a comprehensive vetting process, only quality investment opportunities will be made available to the platform's users. Later in the year, EquityMultiple plans to seek out additional capital in order to fund an expansion and introduce more technology products to meet the demands of sponsors and investors.